encore Deals! | $10 for $20 Worth of Italian Food from Taste of Italy! $10 for $20 Worth of Italian Food from Taste of Italy! Expires 5/31/2013. Not valid during Wilmington Restaurant Week. No Change Given. Not Valid With Any Other Offer. 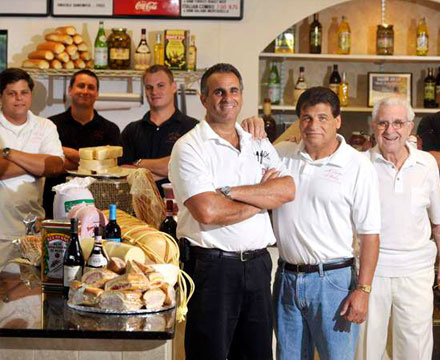 A Taste of Italy was founded in 1994 by brothers Tommy and Chris Guarino. Born and raised in New York, they came to Wilmington, North Carolina to open an establishment that would bring the taste of traditional New York Italian delicatessens to the shore. A Taste of Italy’s cuisine captures an authentic Italian taste that has helped win them the title of “The #1 Deli in the Port City”. Come in and experience A Taste of Italy in Wilmington, NC today!